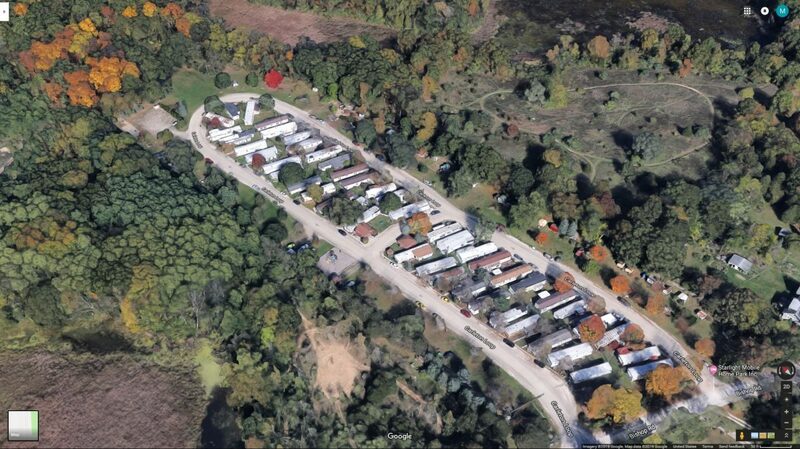 Starlight Mobile Home Park is located at 7175 Bishop Rd, in Brighton, Michigan just south of the Lee Road exit off of US-23. Starlight is a very quiet Mobile Home Park with many retirees and longtime tenants. The property is bordered by protected woodlands to the West and Island Lake State Recreation Area to the North and East. Starlight was developed in 1957 and has always been owned by the same family. The site encompasses approximately 10 acres consisting of 48 existing pads with 30 owned single-wide two-and three-bedroom homes, and 18 tenant-owned homes. The property features two unit types; 16 single-wide two bedroom/one bathroom homes and 14 singe-wide three bedroom/two bathroom homes. The utility breakdown of this property includes tenant-paid electric while water and sewer are the responsibility of the Landlord, currently serviced by a septic field and well. Starlight offers a significant value-add opportunity with the possible expansion of approximately 32 additional pad sites along the property’s perimeter. The property possesses significant redevelopment potential for townhomes or condos given the strong demographics and household income of the US 23 corridor between Ann Arbor and Brighton. There is tap-in infrastructure at the entrance of the community, enabling a developer to convert water/sewer systems upon redevelopment.